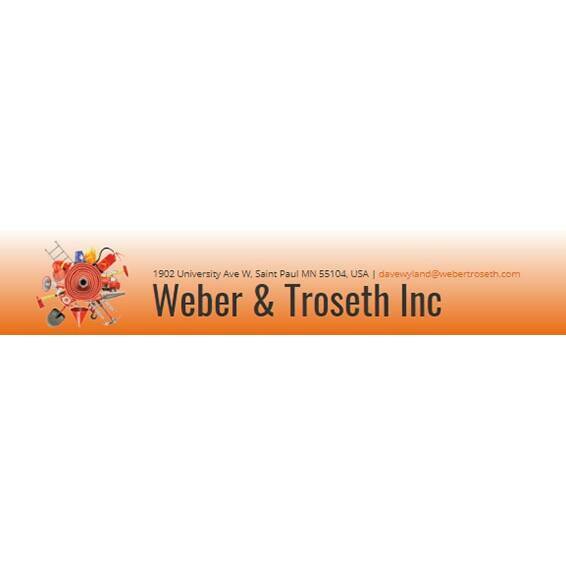 At Weber & Troseth Inc, we sell and service fire safety equipment throughout the St. Paul, Minnesota area. Our business has been family owned and operated since 1938. We install and service restaurant and industrial fire suppression systems. We provide mobile recharge service at your commercial or industrial location. You can also bring fire extinguisher equipment to our location to be re-charged while you wait. We offer sales, installation and service of: ? Fire extinguishers ? Fire alarm systems ? Fire suppression systems ? Industrial tubes and fittings ? Safety and security equipment ? Smoke alarms Don't take a change on fire ruining your business; ask about systems to help protect your investment. We are a member of the National Association of Fire Equipment Distributors (NAFED). Call us today for more information!